- new Danish bedtime meditation book helps children sleep. Help your child to sleep with child meditation. Everybody is talking about “The Danish way of parenting”. Now a new Danish bedtime book is turning bedtime around in many families helping children fall asleep much faster. And the method is so simple, it is going to surprise you. Every day our children are bombarded with impressions and impulses. Screens, internet, over-scheduling of activities, information (over) flow and overload, divorced parents / two homes, and long packed school days have a great influence our children and statistics are on the rise: more children than ever before suffer from stress, depression, anxiety, sadness etc. One of the most obvious ways for parents to see these signs on a daily basis is that more and more children have a hard time falling asleep. In general children today sleep one hour less than we did 25 years ago. So not only are our children more liable to information overload, they also sleep less — a challenge to deal with for many a child and consequently their parents. Research shows that children who lack sleep over time can show symptoms similar to reactions we see in children with ADHD. Danish author, Gitte Winter Graugaard, has written a bedtime meditation book for children to teach them how to turn up their love for themselves before sleeping. The book is called “The Children’s Meditations In my Heart”. It was written in Danish and quickly showed great improvement in self-esteem in children and more sleep. The book helps parents, also without previous experience with meditation, teach their children to meditate and calm down. Danish author Gitte Winter Graugaard with her daughter after meditation. You might know the book “Goodnight Moon” by Margaret Wise Brown, published in 1947, which teaches children to thank their surroundings before sleeping by saying good night. This Danish book teaches children to say goodnight to their hearts. The book helps parents teach children that no matter how their day has been, they can always turn up the love for themselves in their hearts and go to sleep with a heart full of love. They are reminded to also direct some of love they have inside to themselves. “Self-esteem and self-love are invaluable resources in life that we need to teach our children to help them deal with all the impulses they get from society and screens, and to help them recharge, says author Gitte Winter Graugaard. The book offers four meditations for parents to read to their children. Through the symbols of the book parents are inspired to talk to their children about the great love in their family. Snuggle up under the blanket and read the meditations to your child. “I don’t believe parents today love their children less than previous generations. But the busy schedules in many families means that the parents don’t have as much time to communicate their love to their children. This book helps parents share their great love with their children, and when the parents turn up the love at bedtime, children feel safe, loved, have an easier time letting go, and fall asleep more easily”, explains Gitte Winter Graugaard. The method of this book is simply becoming a present, loving, calm parent at bedtime with inspiration from the book. The book is written in a way that brings the best out in the parent. 1. 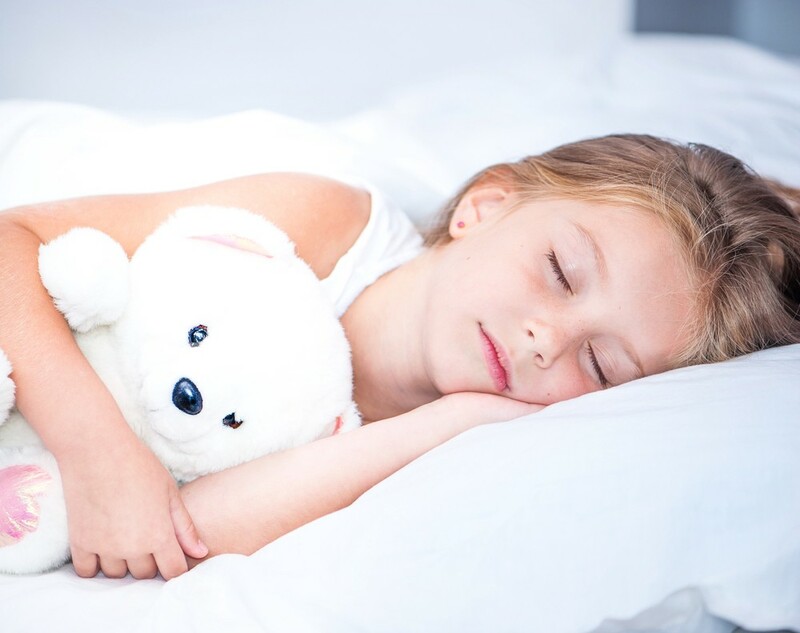 Pick a time when you feel good and have energy to help your child deal with a new method to fall asleep. 2. Stay calm and loving in your energy even if your child has difficulties with the new method. Your energy, mood and way of communicating with your child highly affect how quickly he/she calms down. 3. Turn off all screens two hours before bedtime. 4. Lay down next to your child and show him/her you have time to read the book in a calm and cozy way. Snuggle up. And if you fall asleep yourself, you might need just that. 5. Talk to your child about the experience with meditation. Listen — there is a lot to learn. Encourage your child to draw the images or feelings he/she sees or experiences during meditation. “Enjoy the ride to heartland with your child. My experience is that many children have a much easier time meditating to their hearts than adults. And in many ways children can help their parents turn up the love for themselves as well. I always encourage the parents to pay attention to their child in meditation and learn from them.”, says Gitte Winter Graugaard. The world would look a lot different if all children and their parents would fill their hearts with love every evening. Remember to say goodnight to your beautiful heart. Image of the first of the four meditations in the book. Please go to www.roomforreflection.com to read more about the book. The book is available in English as a PDF, Kindle download and hardcover. Now also available in Spanish as a PDF and Kindle download.